The nonreligious population is growing rapidly worldwide but continues to be one of the most misunderstood groups. One of the reasons for these misunderstandings is that atheists are often closeted. Ignorance breeds bigotry. Help dispel myths, encourage understanding of atheism, proudly wear atheist t-shirts and show your support for the fight against inequality. When more people learn that atheists are among their friends and family, it will be harder for them to hate us. Stand up and stand out as an atheist and fight discrimination. All proceeds will go to keeping the Atheist Republic website up and running; providing resources, advocacy, tools and encouragement to atheists all over the world. If you have your own ideas for an atheist T-shirts or any other items, or if you would like to suggest a new design for one of the existing items in the store, please feel free to contact us here. Activism Can Be As Simple As Wearing a T-shirt. Atheists are one of the most rapidly-growing segments of the population worldwide, but they're still a huge minority in most areas. This means that they often struggle to have their rights respected by the local religious populations and even the government, not to mention the personal battles that happen each day within an atheist's circle of family and friends. Just like any other minority, atheists are a group that can benefit from the support of activists and sympathizers. When it comes to activism, even a small gesture can make a big statement. If you're looking for a way to make a statement or show your support of a cause, something as simple as wearing atheist t-shirts can go a surprisingly long way. Why Come Out of the Closet? 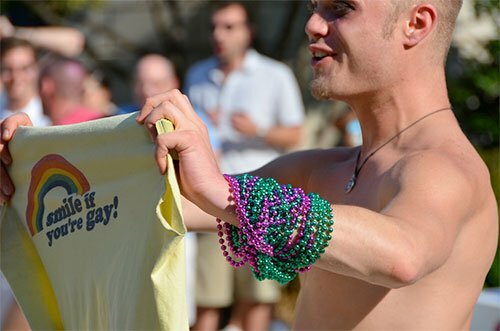 If there's one thing that the LGBT rights movement has shown, it's that awareness increases acceptance. As gay, bisexual and transgendered people start to come out of the closet and speak up for their rights, many people are listening and sympathizing. The same can be said of any other group that currently faces oppression or dismissal, including atheists. Around the world, atheism carries a social stigma. In some places, abandoning the popular religion can even be dangerous. Many have no real understanding of what atheists are actually like. They may not believe that people can be moral without believing in god, and they may feel that their own beliefs are being threatened. Most atheists are able to justify a highly ethical lifestyle without religion. Yet those outside of the atheist community may never know this unless they see it first-hand. This is why admitting your atheism is so can be very helpful to all atheists, and it's why activism is a necessary step toward ensuring that our rights will be protected. When people already know and respect you as an upstanding, moral citizen, it becomes that much harder to paint you as a villain. If it's safe for you to "come out" where you live, consider doing so: You'll be helping yourself and atheists in general with your choice. 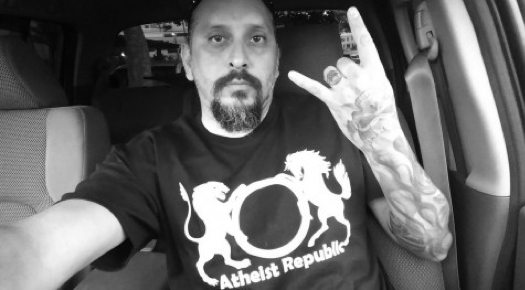 Aside from a vessel for political statements, atheist t shirts also serve as a powerful form of self-expression. Just as bumper stickers can adorn your vehicle to provide an instant summary of who you are and what you care about, a t-shirt serves the same purpose on a personal level. By wearing a t-shirt that embodies your beliefs, whether through profound sayings or clever remarks, you can succinctly share an important part of yourself with others. Just as atheist quotes can help launch a conversation about philosophy, religion or politics, a clever t-shirt can open up channels of communication that you otherwise might not have found. You never know: You might discover that there are more atheists or sympathetic people among your friends and family than you had ever imagined. You might even get the support and interest of complete strangers who appreciate the message on the shirt and your willingness to be honest about yourself. Proudly expressing yourself is a great way to prove that atheism is nothing to be embarrassed about.